After her second child was born, it was clear that she needed and wanted more control over her schedule. Gypsy was eager to get back to work and was ready to create her own business. As a new mother, she started receiving gifts baskets and wanted to reciprocate with friends, but was disappointed with the “generic” selection online. As a lover of artisan foods and a Bay Area resident, Gypsy came up with concept to create a personalized package of San Francisco artisan treats. For the gift, Gypsy decided against using a gift basket because she didn’t have the space to store it. From a practical standpoint, Gypsy felt it was more appropriate to have packaging that was reusable and recyclable. 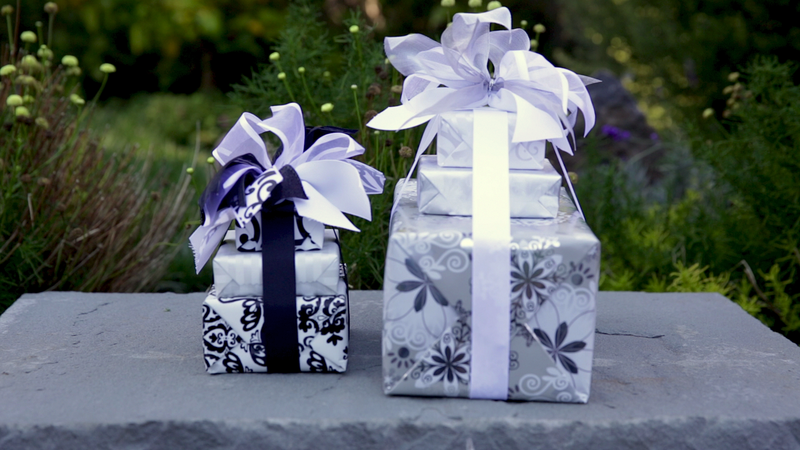 Her customers choose from different wrapping paper options including an elegant black and white theme or silver, 4 seasonal varieties, and holiday themes. Each of the gifts are wrapped in colorful tissue paper and a message from the sender is handwritten on a card. Finally, there is a note in the box from each artisan giving the receiver their own opportunity to make a connection. For the feast, Gypsy uses a talented group of artisan Chocolatiers, such as: Toffee Talk, Neo Cocoa, Socola, and Jade. For the more adventurous Chocoholic, some Gift a Feast’s artisans offer a unique spin on or in their Chocolate, which include flavors like: sriracha, guava, and stout beer. Gypsy was next in search for a jam company. She researched literally by sampling every jam from a well-known Specialty Market in San Francisco (known for its artisan goods). June Taylor, a jam and marmalade company, was added to the Gift a Feast cart. June Taylor is also jamming with Fruit peels. One story Gypsy told was of an 80+ year old woman receiving a package of fruit peels that she claimed tasted even better than the ones her beloved grandmother made. Breakaway Matcha, a Japanese Tea and Ceremony company approached Gypsy to provide an artisan beverage that dates back to 12th century traditions. Adding to the Savory cart is Fra’Mani cured meats, Rustic Bakery’s flatbread crackers, Papalote roasted tomato salsa, raw olives from Good Faith Farms, and Central Coast Creamery’s blended Goat and Cow Cheese. There are many “feasts” to choose from whether it be: “A feast of Appetizer”, a mixture of sweets and savories, “Happy Heart,” a combination of sweet and spicy treats, “Jam Lover’s Feast”, “A Feast of Marmalade”, or a “Personal Tea Ceremony” providing the tools, the tea, and the treats for your own Japanese Tea party. The customer gets to choose from an array of wrapping paper. You pick your shipping date and what you want written by hand on the card. Your package is monitored and tracked. Gift a Feast sends a text message when it has been delivered, and the customer gets a personalized “thank you” note. Some of us find shopping fun and some of us dread it. Browsing online is no more convenient than spending hours at your nearest mall and coming home empty-handed. Gift a Feast vets, tastes and partner ups all their artisans. The receiver gets a memorable gift giving them a feast worth celebrating. I have been Gift of Feasting to my clients around the world who greatly appreciate receiving hand made artisan sweet products from the SF Bay Area.